Harness the power of Sitefinity! Get a Power-packed, Feature-rich, Scalable, Robust and Secure Custom Sitefinity CMS Website or Application Built cost-effectively. Technousa is one of the top offshore Sitefinity development companies in the world – we serve clients across US, UK/Europe and Australia. 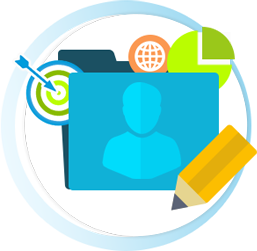 Dot Net being one of our core areas of focus – we have a fantastic team of best of breed Dot Net (.NET) developers specialized in Sitefinity Development (You may know that Sitefinity is a Dot net based CMS). Our team of developers and consultants has exhaustively worked on Sitefinity development projects and we have a proven track record of successfully completing and delivering several Sitefinity projects cost-effectively - yes, we are Sitefinity Experts. Our Sitefinity consultants will work with you to understand your unique business requirements and will provide the best solutions/recommendations. Technousa is a one-stop shop for all your Sitefinity related needs - be it developing a simple website or mobile app or building a complex enterprise grade application with Sitefinity. We also do Sitefinity platform integration to migration, customization to maintenance & support, upgradation to module development and more – our strong expertise in Sitefinity helps us to execute even highly complex development work. Even if you have a unique concept/idea that may require high-level customization, no worries - If you can imagine it, we can build it! Technousa is counted among the few top offshore Sitefinity development agencies based in India (we have an office in USA too) – we help our clients in US, Europe and Australia leverage the offshore cost-advantage without any compromise on quality of work. High quality work and cost-saving assured! 100+ loyal clients spread across 31 countries are a testament to the quality of work we do. Support for System Integration & Deployment and more. Hire us! 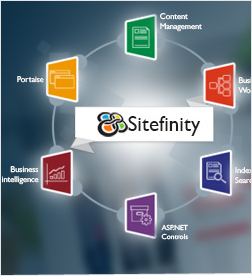 Let us help you to leverage the power of Sitefinity to meet your business requirements effectively. Hiring us will be one of the best decisions you will ever take. 100+ loyal clients across 31 countries trust us. Let's get started! 100% transparency and fair dealing. Reasonable costing – No hidden costs.